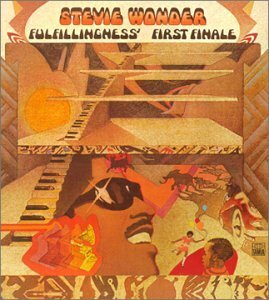 Fulfillingness' First Finale is a landmark album by Stevie Wonder, released on July 22, 1974. 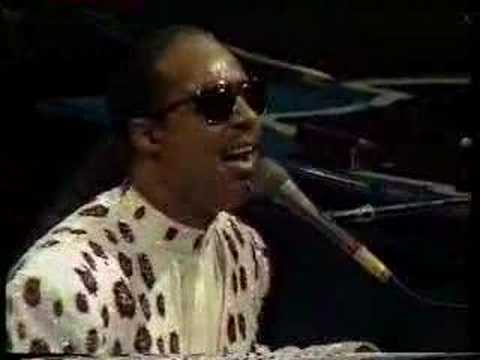 It was the fourth of five consecutive albums widely hailed as his "classic period", along with Music of My Mind, Talking Book, Innervisions, and Songs in the Key of Life. Subsequent to the epic sweep and social consciousness of Innervisions, this set projected a reflective, decidedly somber tone. The musical arrangements used in several songs while masterful could be considered sparse in comparison to others among his 70s masterworks, evident especially in the bleak "They Won't Go When I Go" and understated "Creepin'". While largely a stripped down, more personal sounding record, Wonder had not completely foregone commentary on the world around him. The No. 1 hit "You Haven't Done Nothin'" launched a pointed criticism of the Nixon administration bolstered by a crunching funk rhythm (and Jackson 5 cameo).